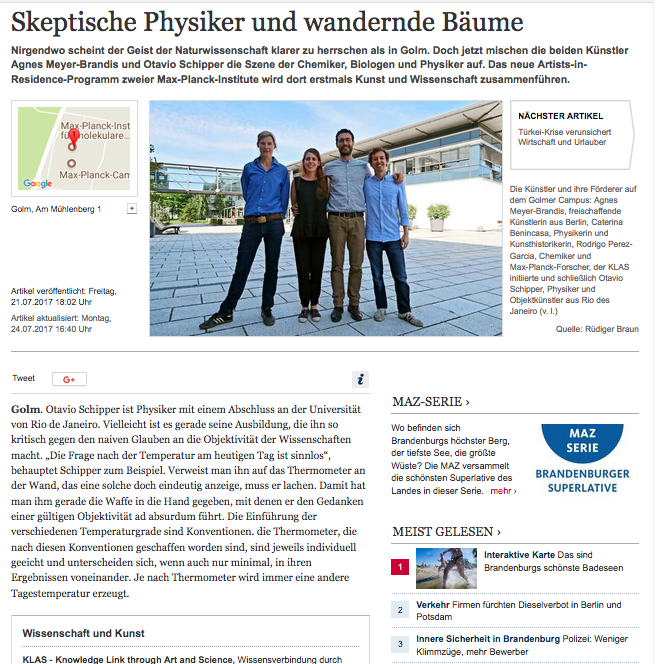 Agnes Meyer-Brandis (Germany) and the duo Otavio Schipper & Sergio Krakowski (Brazil) present their work at the Max Planck Campus (Potsdam-Golm Science Park). 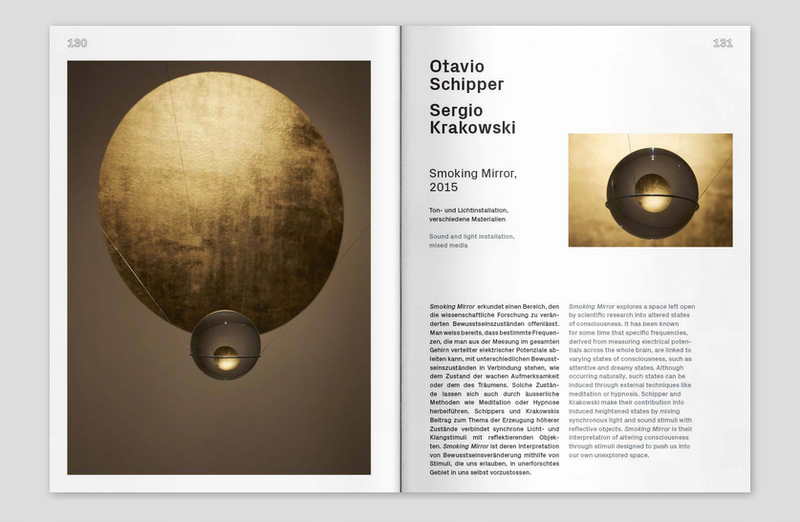 Fascinated by the history of objects and memory as much as by the concepts of communication and coding, Otavio Schipper and Sergio Krakowski inquire into the origins of science, tradition, and imagination. 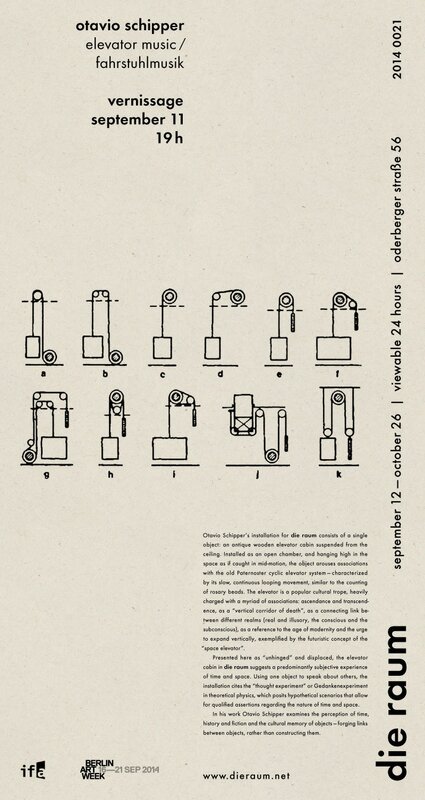 For KLAS they will be presenting Golem, a video installation and a short story by Stephen Berg. Article by Mr. Rüdiger Braun about KLAS Art in Residence program 2017 winners published on MAZonline. 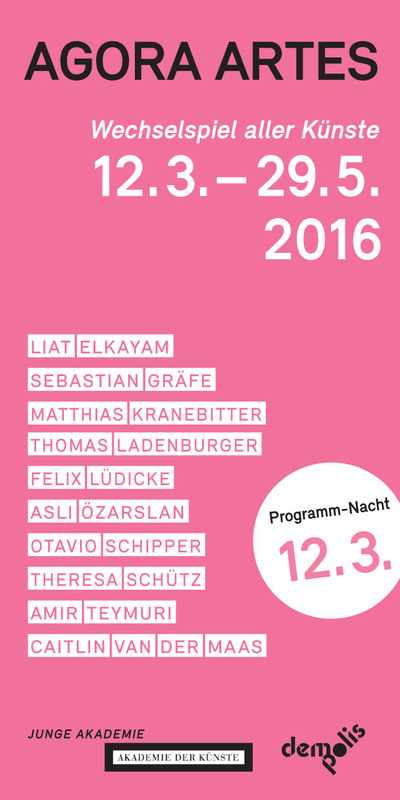 Otavio Schipper and Sergio Krakowski have been selected to participate in the artist-in-residence program KLAS. 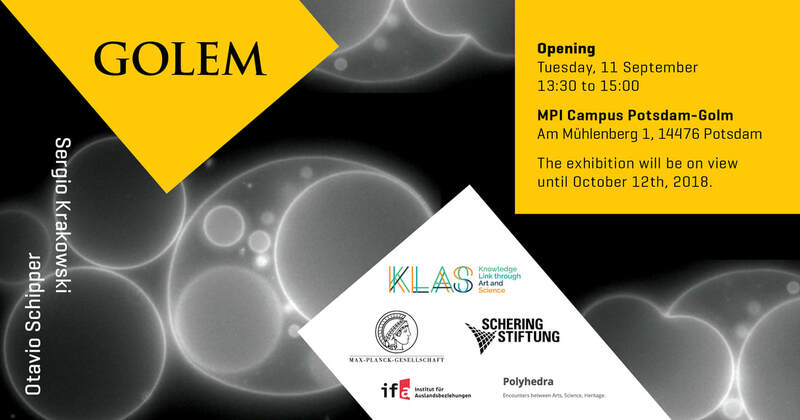 Within KLAS – “Knowledge Link through Art and Science” – the Max Planck Institutes of Colloids and Interfaces and Molecular Plant Physiology invites for the first time contemporary artists to develop their own project at the Potsdam-Golm Science Park (Germany) and the University of Groningen (The Netherlands). In the course of this eight month pioneering project, artists will work side by side with researchers in order to develop a new artwork bridging contemporary art practices and scientific research. In addition to awarding two Artist Residencies in 2017, KLAS will present a series of events and conversations around specific thematic topics. 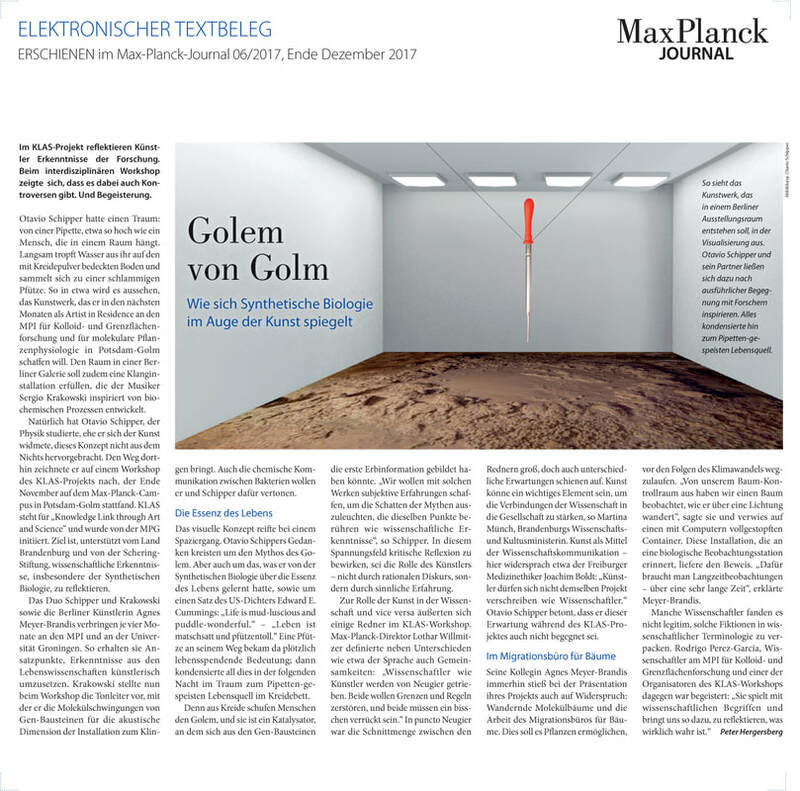 KLAS is funded by the Max Planck Society and the Schering Foundation and ideated and coordinated by Polyhedra. 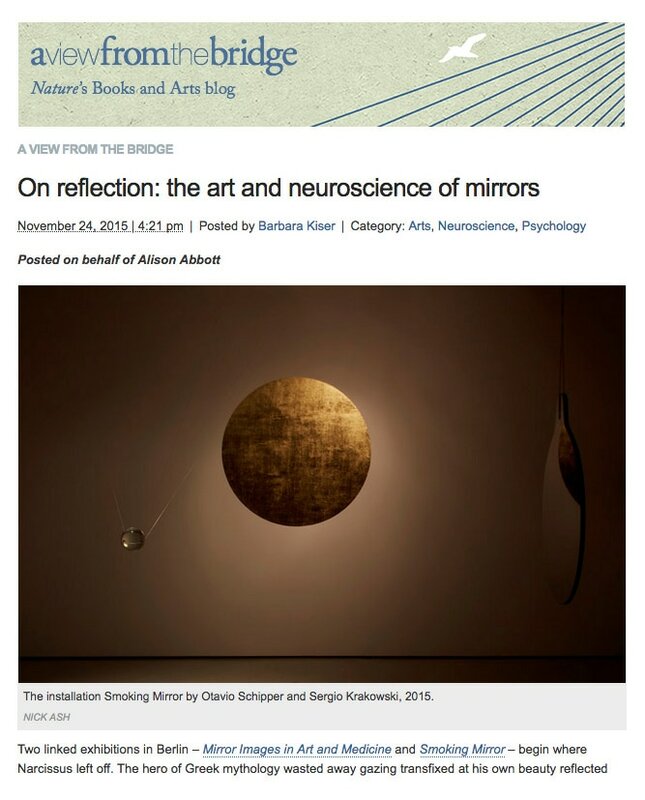 Mirrors expand our sense of reality and allow us to observe our own bodies. While we can be seen by everyone directly, the only possible way of viewing ourselves is through mirrors, photographs, films or portraits. 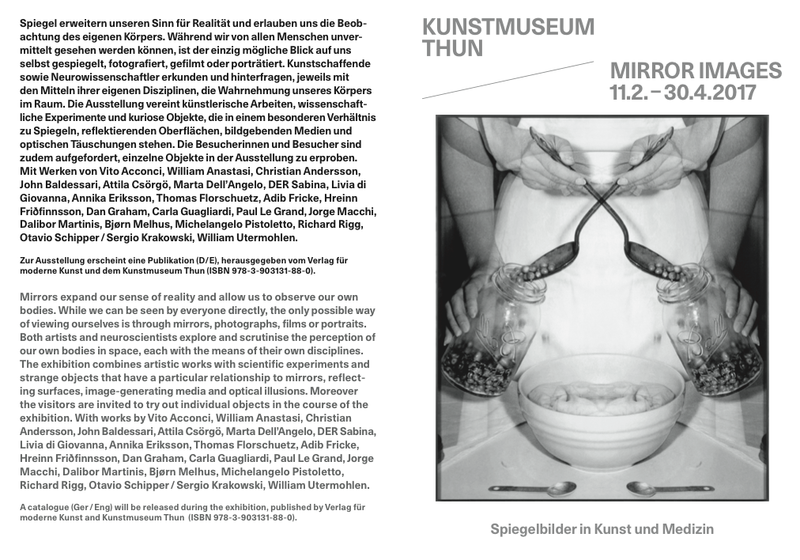 The exhibition combines artistic works with scientific experiments and objects that deal with the way we perceive our own bodies in space. 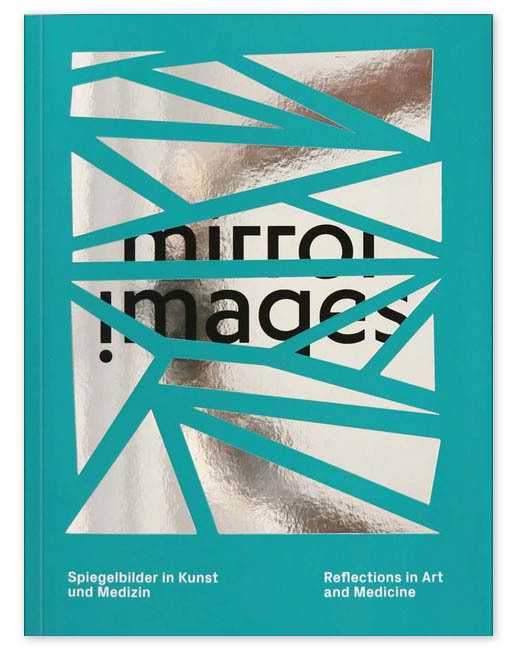 With works by, among others, Vito Acconci, William Anastasi, Christian Andersson, John Baldessari, Attila Csörgõ, Marta Dell’Angelo, Livia Di Giovanna, Annika Eriksson, Thomas Florschuetz, Adib Fricke, Hreinn Friðfinnsson, Dan Graham, Sabina Grasso,Carla Guagliardi, Paul Le Grand, Dalibor Martinis, Jorge Macchi, Bjørn Melhus, Richard Rigg, Otavio Schipper/Sergio Krakowski. 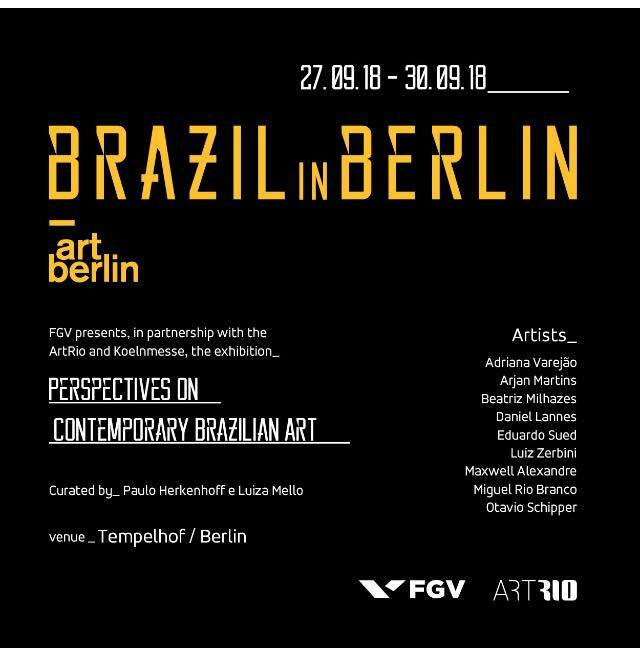 The catalogue for the exhibition includes essays by international experts and case studies from architecture, sociology, art and urbanism for the redefinition of public spaces, such as Tempelhofer Feld in Berlin, Trafalgar Square in London, Campo de Cebada in Madrid and Brooklyn Bridge Park in New York. Artistic interventions in public spaces will also be shown, as well as the findings of an international workshop and 3D tools for public participation. The Rio based artist Otavio Schipper has developed a new work for die raum that responds to the claustrophobic dimensions of the exhibition space. 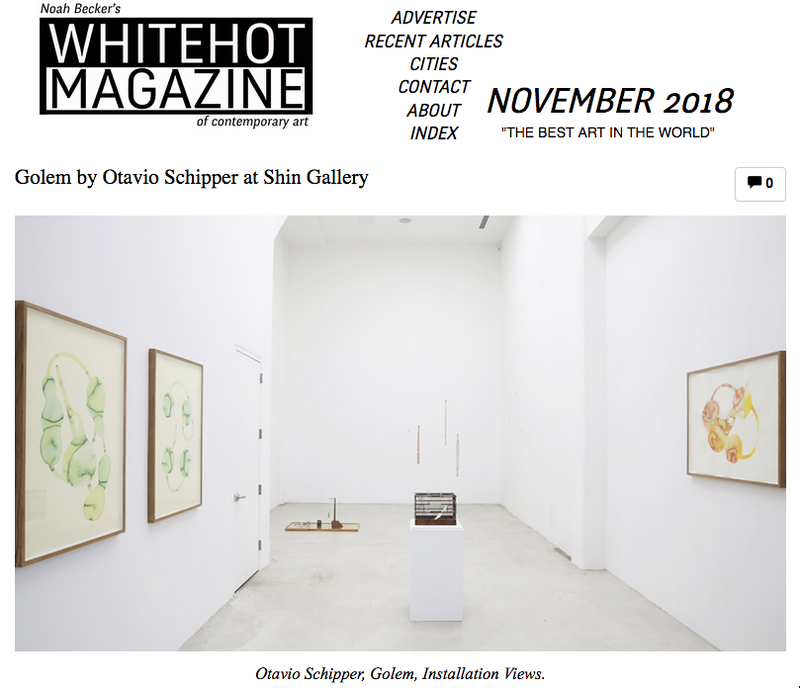 In line with the surrealistic aesthetic of Schipper's oeuvre and his tendency toward the mechanical traces of early modernization, the installation references concepts of time and the subconscious. The Wizard’s Chamber is an abstraction which finds an imaginary language between art and science. The exhibition refers to Dr Nikola Tesla’s essay 'The Problem of Increasing Human Energy: With Special Reference to the Harnessing of the Sun’s Energy'. Tesla was one of the greatest inventors in the history of electrical engineering, also known as The Wizard of the West. With: Alessandro Brighetti, Wim Delvoye, Braco Dimitrijevic, Oswaldo Macia, Geo Homsy/ Chico MacMurtrie/ Bill Washabaugh, Arnaldo Morales, Trevor Paglen, Katie Paterson, Otavio Schipper, Samson Young. OTAVIO SCHIPPER © COPYRIGHT 2018. ALL RIGHTS RESERVED.